Elizabeth Cassone is a certified Health and Wellness Coach and mother of four. She decide to enter into the wellness field after thirty years as a a business owner. As an expert hair colorist, working with the public in an intimate way has become a great skill of hers. After experiencing a major health concern herself, she sought out Alternative Healing. Elizabeth was healed fully in her body, by her faith of the Holy Spirit. She is devoted to facilitate and assist in the health and wellness of all who are wiling: especially women in transitional periods of life, and those who want to heal from illness. She received her training at the Institute of Integrative Nutrition in New York City, "The world's largest nutritional school." She is currently coaching one on one and group settings six month programs. She is a good listener, mother, and traveler. Having lived in various parts of the world including London, Andorra, & LeSarc France. She has visited twelve countries and is committed to include travel in her practice by running retreat with her family, also in the Health & Wellness field. 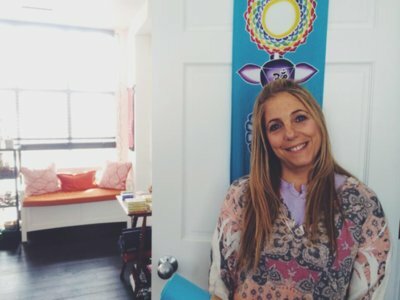 Elizabeth is dedicated to creating a more conscious and informed world by helping people realize their full potential, through the knowledge of nutrition and the effects on the body, mind, and spirit. As well as strengthening and healing relationships with God and loved ones alike. "We could all use someone guiding and cheering for us on the side line."